Jacquire King in his new studio. 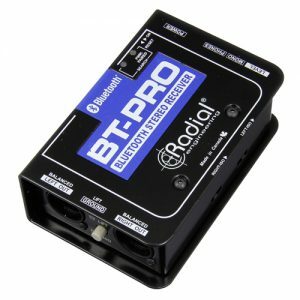 Several Radial products made the cut and Radial’s sister acoustics treatment company, Primacoustic, was selected to treat all the studio spaces. 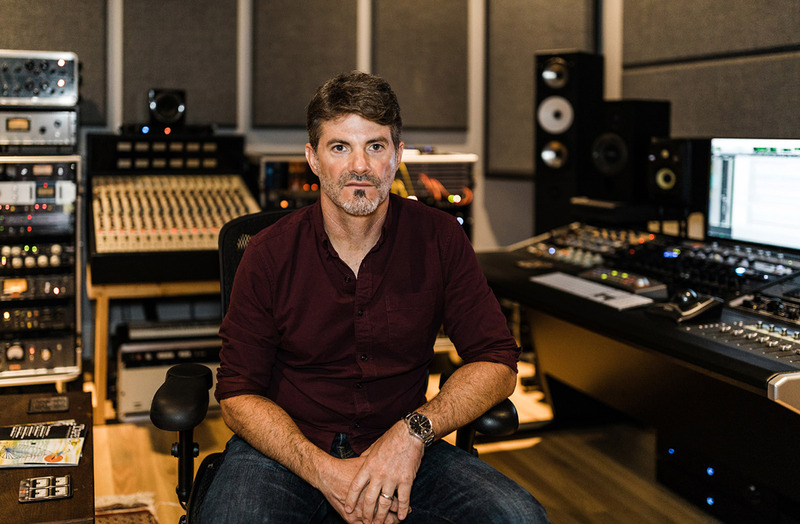 Jacquire King’s new studio ‘LBT’ offers the multi-award winning producer, what he calls ‘creative elbow room’ and immediate access to all the instruments he has collected over the years. Although you can still find Jacquire at Blackbird tracking larger session in Studio D, he surrendered his personal space there (Studio G) now that LBT is operational. LBT is a ‘top secret’ acronym according to King and reflective of his vision for the studio. “I wanted a space that was truly personal to me and that in many ways you weren’t hanging out in a commercial studio but rather in a home environment.” On the more practical side he sees this as an investment in real property directly benefitting his future well-being. 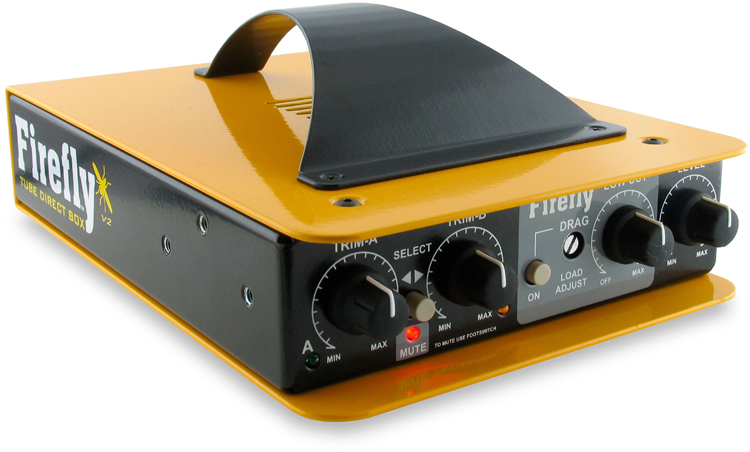 The Firefly Tube Direct Box is what Jacquire uses for recording bass and electric guitar. He describes LBT as a medium sized studio and he had his hand in the design from the ground up. A few key pieces of Radial gear made the cut. King points to the Radial Firefly Tube DI as a newer but key piece in his recording process. “It’s become my go to direct path for bass guitar. I’ve even recently used it for direct recording of electric guitar with great success. The Firefly has a huge and rich tone with great articulation. I just love the way it sounds and for me I’m very picky about tube direct boxes… I don’t like most of them and many times just prefer to use a passive transformer only DI. This is a different story for sure. I also love having the drag feature to change the impedance that the pickups are seeing for the tonal changes that it brings. Also having the two separate inputs for independent levels is an advantage plus the feature set of polarity, high pass, and ground lift are all necessary standards.” Some of King’s latest projects feature use of the Firefly including Picture This, Daughtry, Bastian Baker, Dierks Bentley, Ford Turrell, & Shania Twain.